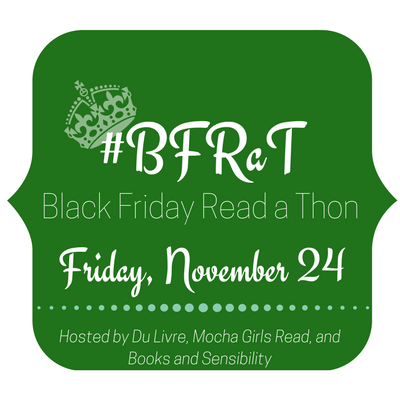 Black Friday Read-a-Thon (BFRaT) was something that we tried last year and it was a lot of fun! 2017 continues to fly by and I'm excited that Mocha Girls Read, Books and Sensibility, and I have teamed up for the second year of BFRaT! In the United States, Black Friday has been labeled a shopping holiday in anticipation of the Christmas season (although you'd think Christmas was next week with all of these ads). Whether you're up at 3 a.m. fighting the crowds or in your pajamas, we want to invite you to join BFRaT 2017! BFRaT 2017 will take place on Friday, November 24 at 12 a.m. (your timezone) until 11:59 p.m. All participants will have the opportunity to join challenges, win bookish prizes, and of course, read! Challenges will be posted on Instagram and your hosts' blog, and Twitter throughout the day and winners will be chosen on Saturday, November 25. 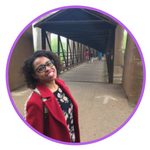 We highly encourage everyone to track their reading process on social media platforms (using the hashtag #BFRaT) and cheer your fellow readers on!